Well I have tried to post these pictures into the "Laminate or wood flooring" thread as promised but for the last 2-3 days with the site acting up I haven't been able to reply to that thread for some reason. Even now, I can create a new thread and reply to others but when I try to reply to that one it just goes to a blank page. Soooo.... here are the pictures. 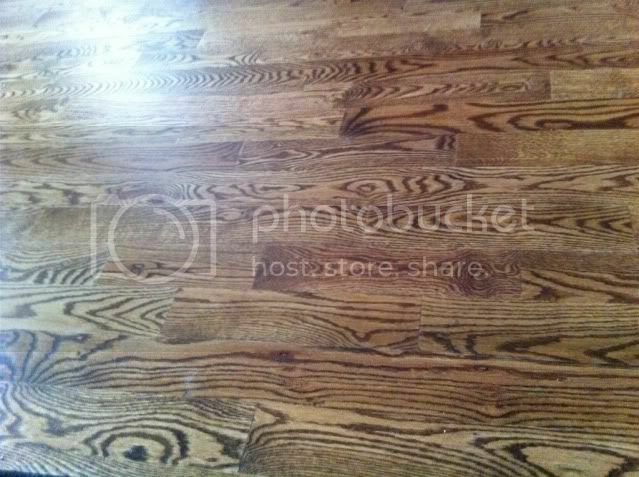 Not sure if the pictures really do the floor justice but here is my parents wood floor. I don't think laminate can compete. Nothing like real wood, imo. Is that oak or ash, David? Looks really good. I was going to redo the wood floor in my living space, but the storm that destroyed my downstairs room twisted my priorities all around. 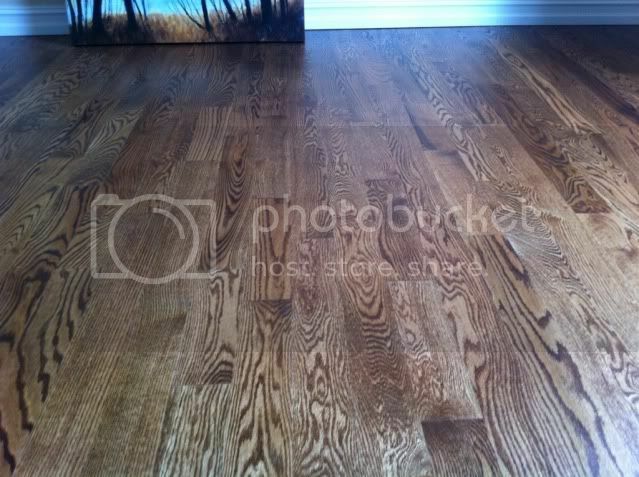 I tore out some laminate I did in the kitchen and dining room area partly because it looked like a fake wood floor. The floors are red oak.